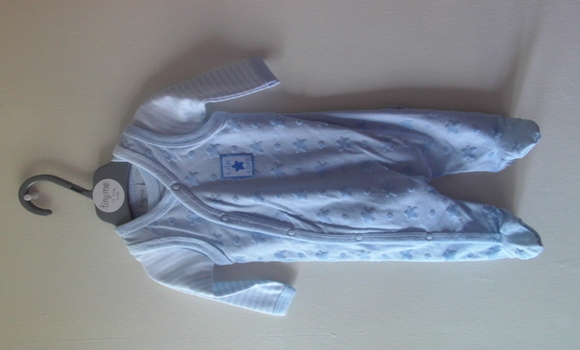 premature baby clothes for tiny babies. soothing pastel shade full outfit blue bodysuit top envelope style for ease of dressing.dungarees premature baby clothes a great alternative to baby wearing a sleepsuit all the time. you'll be excited to be able to dress him in his first proper clothes after moving out of the Nicu unit to the scbu and then ready for home. Click the order button just below to order this outfit in a size 3-5lb also available in pink for a twin baby sister.